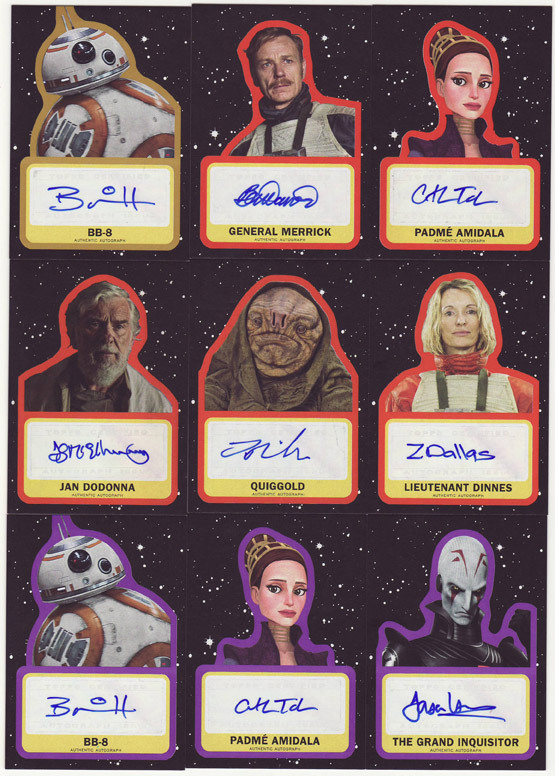 Meet Some of The Last Jedi Characters! 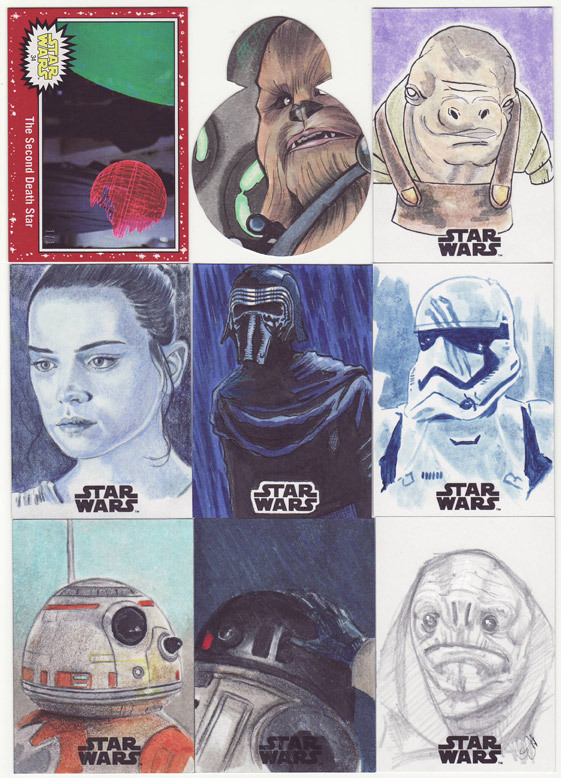 Featuring the iconic 1977 Blue Starfield design on Heritage stock, the new 2017 Topps Star Wars: Journey to the Last Jedi trading card set takes you on a journey across the Star Wars saga with a sneak peek at Star Wars: The Last Jedi. 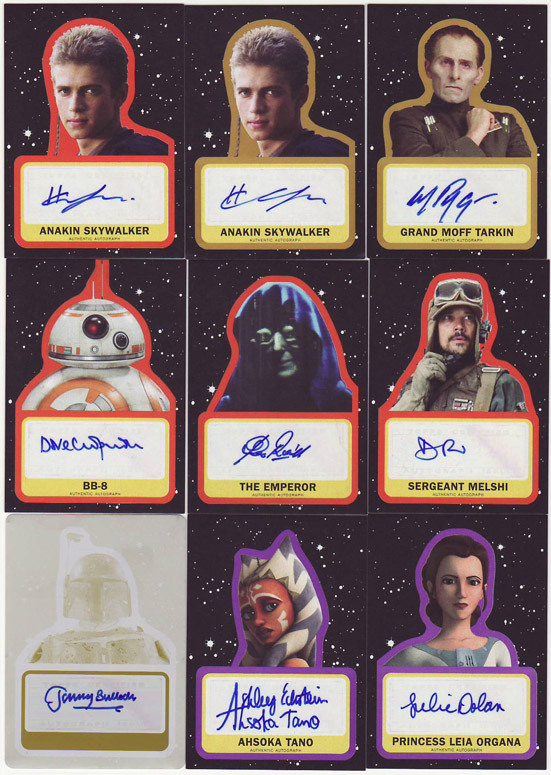 New characters are introduced across six fun chase sets, including Darkness Rises (6), Illustrated Characters (14), Rey Continuity (5), Blueprints (7), Characters (16), and Retro Stickers (18). Base card parallels are available in Green, Black, Silver, White #/199, Orange #/50, Gold #/25 and Red 1/1. 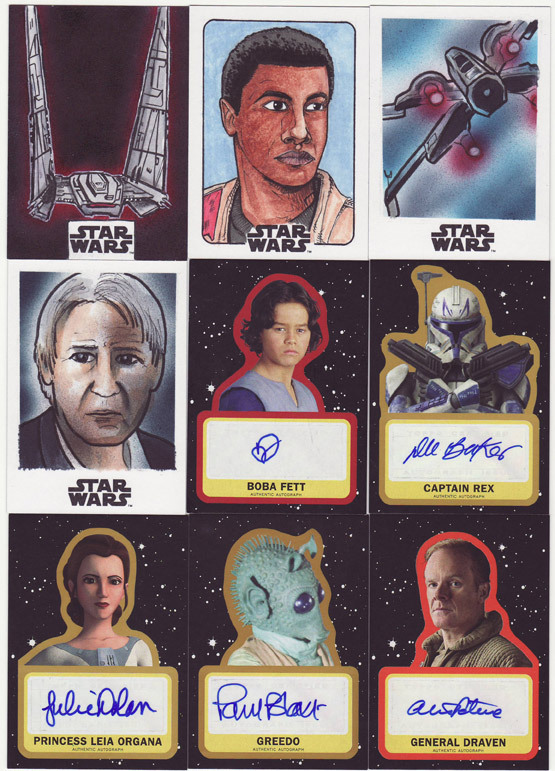 Special hits include autographs (with several numbered parallel versions), sketch cards, printing plates, and patch cards (with numbered parallels). Here are the highlights. Enjoy the pics! As usual everything is for sale, thanks!